Rockstar has revealed the Red Dead Redemption 2 trailer! There is only about a week before the game officially launches, so a new trailer is here to remind that to us. 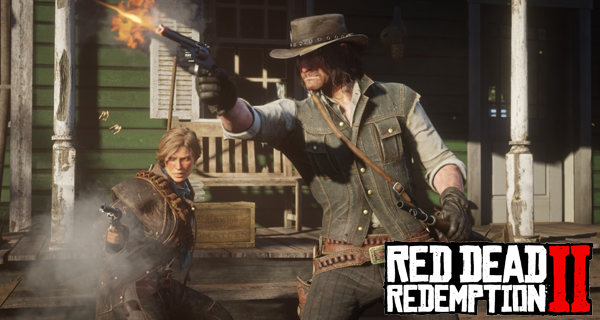 The trailer is very short at only about a minute long and we get to see Arthur and Dutch talking about “one more big score” and they will have enough money to leave. It then shows some action like an attacking bear, a train car getting derailed, explosions and the like. If you’ve noticed the trailer doesn’t really show any of the Red Dead Online Action, that is because that won’t be available until November, which is the start date of the online beta. Red Dead Redemption 2 is launching on October 26 for PlayStation 4 and Xbox One. If you are planning to get the digital download version of the game, expect it to be huge! The Xbox Store has the game posted as 88.56 GB. The PlayStation 4 would need something similar as the PlayStation 4 has the game listed for 89.2 GB. Pre-loading for Red Dead Redemption 2 starts on October 19 at 9 PM PT / 12 AM ET / 5 AM BST / 6 AM CEST. News about Red Dead Redemption 2 has been leaked! Get to know more about the game from its game modes to the first person gameplay and so much more!